Map of active separatist movements in Europe. Red names indicate regions with movements that only claim greater autonomy within the actual state. Black names indicate regions with important secessionist movements, although both categories include moderate movements. The nations highlighted in colors are the territories claimed by the local nationalist groups, including areas out of the state’s borders and cases of annexation to other states (click to enlarge). This is a list of currently active separatist movements in Europe. Separatism often refers to full political secession,though separatist movements may seek nothing more than greater autonomy. They are the citizen/peoples of the conflict area and do not come from another country. Advocacy group(s): for non-belligerent, non-politically participatory entities. Ethnic/Ethno-religious/Racial/Regional/Religious group(s): for information on what group of people calls for change for each individual movement listed. Various ethnic groups in Europe are seeking greater autonomy or independence. In the European Union (EU), several of these groups are members of the European Free Alliance (EFA). In some cases, the group seeks union with a neighbouring country. For movements in Greenland, see List of active separatist movements in North America. Some of the claimed nations and/or regions – 1. Brittany, 2. France proper (excluding Wallonia), 3. Occitania, 4.Lorraine which is sometimes part of France proper, 5. Alsace, 6. Basque Country, 7. Catalonia and 8. Corsica. Political party: Abertzaleen Batasuna (AB), Batasuna, Eusko Alkartasuna (EFA member), Parti Nationaliste Basque. Proposed region: Normandy (to merge the two regions of Lower Normandy and Upper Normandy opposed by Norman activists)[clarification needed]. Political organisation: Gagauzian People Assembly should Moldova decided to unite with Romania, Gagauzia would have the right to self- determination. An association of people: Kaszëbskô Jednota who want to actively participate in the life of the Kashubian nation and who recognize its right to cultural autonomy and self-identity within the multi-ethnic society. Political organisations: Democratic Union of Hungarians in Romania, the demand for Hungarian autonomy has been part of their program since 1993. Hungarian Civic Party (Romania), they signed a settlement with the Democratic Union of Hungarians in Romania about cooperation and joint support for Hungarian autonomy. Hungarian People’s Party of Transylvania (PPMT), the party proposes the establishments of Transylvanian parliament and government and supports the case of Szekler autonomy in Szekely Land. It also advocates territorial autonomy for Partium. Liga Transilvania-Banat, a regionalist party led by Sabin Gherman. Szekler National Council, Hungarian National Council of Transylvania, Liga Pro Europa, a Romanian-Hungarian regionalist NGO., Provincia, a group of intellectuals promoting regionalization of Romania, Autonomy for Transylvania (AFT) campaign, it demands autonomy for Transylvania. Democratic League of Transylvania (Liga Transilvania Democrată), a regionalist NGO, an active supporter of the “Autonomy for Transylvania” campaign, League of Banat (Liga Banateana), a regionalist NGO. Militant organisation: Chechen separatists; though recently Ramzan Kadyrov, the Russian-appointed leader of the Chechen Republic within Russia has also made statements seeming to support broad autonomy, criticising Russian attempts to make a “North Caucasus” district and inviting back separatist leader Akhmad Zakayev. Political parties: Party of the Hungarian Community, In 2010, the party renewed their demand for autonomy. Goals: Territorial autonomy for the compact Hungarian ethnic block and cultural autonomy for the regions of sporadic Hungarian presence. 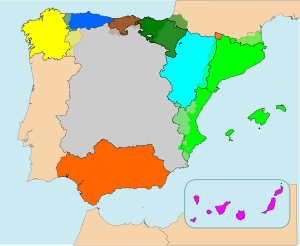 Areas in Spain with separatist movements. The disputed territory of Olivenza. Youth movements: Darréu, UNA-Mocedá, Fai! Political parties: Partit Socialista de Mallorca-Entesa Nacionalista (in Majorca). Political parties: Convergència Democràtica de Catalunya and Democratic Union of Catalonia 50/135 seats in the regional parliament, Esquerra Republicana de Catalunya21/135 seats in the regional parliament, Initiative for Catalonia Greens 13/135 seats in the regional parliament, Candidatura d’Unitat Popular 3/135 seats in the regional parliament, Solidaritat Catalana per la Independència 0/135 seats in the regional parliament, Reagrupament 0/135 seats in the regional parliament, Estat Català 0/135 seats in the regional parliament. Pressure Groups: Genevan politicians and activists. 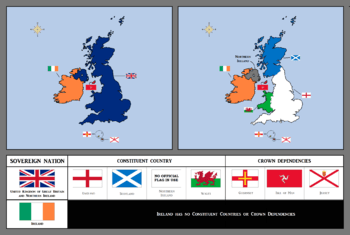 Note: Some local residents and politicians are considering becoming independent from Scotland with staying in the UK or becoming Crown Dependency/Overseas Territory. For movements in other British Overseas Territories, see the List of active separatist movements in North America.